While the hotly debated gaffe was doubtfully intentional, by their own admission, H&M’s major misstep demonstrated both a general lack of cultural awareness within their creative teams and even more disturbingly, a lack of multicultural presence among their ranks. And as the brand faced both boycotts and occasionally destructive protests that resulted in store closings across South Africa, a bigger issue was how they would redeem themselves. Could H&M restore confidence in their credo and ensure respect for their customers of color? Are We Still Boycotting H&M or Nah? Looking at a fashion landscape that now includes similar transgressions from Prada, Gucci, Burberry and more, it’s hard to believe more brands didn’t learn from H&M’s mistake—and proactively follow their lead before they faced public relations nightmares of their own. H&M’s first step? Creating roles specifically tasked with addressing the issue head-on—and filling them with women of color. Granted, “diversity” and “inclusion” have become the buzzwords du jour, as of late—but fewer seem clear on what they really entail. In challenging themselves to do the necessary work, it quickly became apparent specific and strategic attention was needed in H&M’s North American market, where issues of race are currently heightened (and “cancel culture” looms especially large). 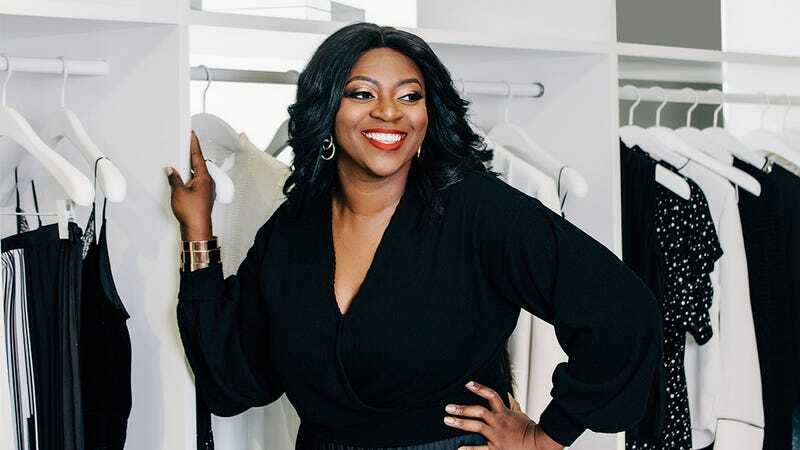 Enter Ezinne Kwubiri, the first to hold the position as H&M’s Head of Diversity and Inclusion, North America, who joined the team last fall. The Nigerian-born, Bronx, N.Y.-raised Howard University graduate was formerly the Director of Change Management, Global Business Services at Viacom. She tells The Glow Up she was looking for a change in direction when she noticed online that H&M was seeking someone to helm their diversity and inclusion initiative. Up for a new challenge (and boy, what a challenge to take on), Kwubiri finally threw her hat in the ring, embarking on a process she describes as equally interviewing H&M as a corporate culture as being interviewed for such a highly visible and suddenly crucial role. Stepping into the role of having to help rehabilitate not only the image, but the education of H&M’s 71 markets worldwide is no small feat. Before taking it on, Kwubiri was adamant it be one in which she could affect real and meaningful change. Working closely with Wu and reporting directly to the president of H&M North America, Kwubiri is so far the only executive in her role in any of the company’s major markets, a choice she credits to H&M wanting to immediately address the issues made apparent by the backlash (which, notably, took place overseas). But what are those different things, and how are they propelling necessary change at H&M? Though less than five months in the role, Kwubiri has already initiated a top-down approach of developing and launching unconscious bias training throughout the corporate ranks, training regional teams, district teams, and most recently, store managers to disseminate info to their sales advisors and implement new protocols within their stores. She’s also strategizing within the H&M community to increase awareness and make a positive social impact that engages the communities those stores and teams serve. As we know, positive change generally starts from within, and Kwubiri says the internal response thus far has been “truly phenomenal.” So, what advice would she give to other brands now struggling with the same issues? Kwubiri is also clear on the fact that diversity and inclusion aren’t just racialized issues, pointing to H&M’s recent size range expansion, and increased attention to representation among models in its advertising. But most important, she hopes the work the brand is doing behind the scenes is given a chance to prove to the general public that the company is truly committed to doing better—and that the public is gracious enough to allow for that growth.